There are millions of different skin types in the world because everyone’s is completely unique. Typically, when the weather gets colder skin tends to get dryer. Oily skin can become combination or even totally dry once the seasons start to change. Adapting your skincare routine will help combat these issues. The easiest way is to add more moisture to the routine with lotions or oils. Places like Sephora and Ulta can help find products for more specific needs. I included a picture of my most basic skincare routine in the winter time. 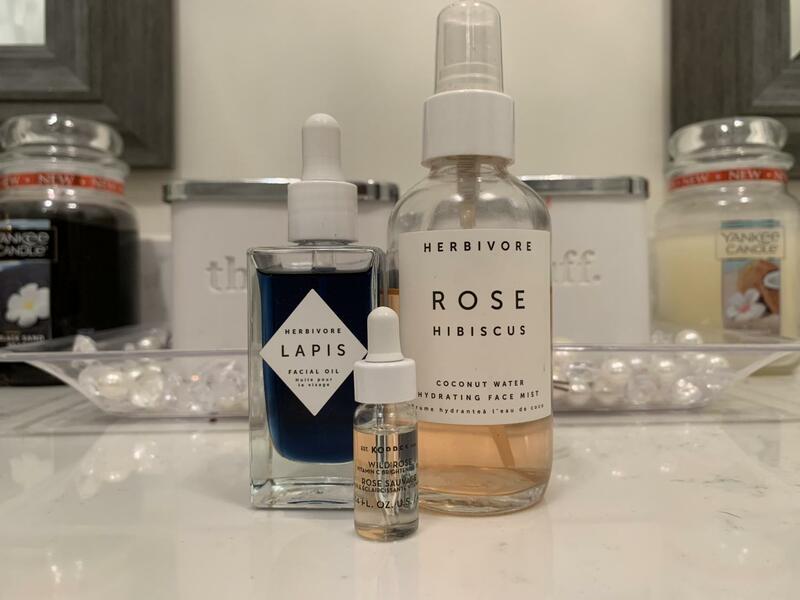 I use the Herbivore Lapis Facial Oil which is great for moisturizing and helping with acne prone skin/scarring. Herbivore Rose Hibiscus Coconut Water Spray is a great toner for any skin type. Then I will use an oil or thick facial moisturizers like Korres Wild Rose and Vitamin C Brightener. Belif The True Cream. Junior Lauren King uses more drugstore options like Cetaphil cleanser, Garnier micellar water. She also uses Clinique moisture surge. “During the summer I use a lighter moisturizer and lip treatment but my skin is extra dry now and needs as much moisture as it can get,” King said. Make sure to research products and look into different skin types or ask a professional to see what products will work best. People with normal skin types are very different from oily and dry so it is best not to use Youtube as a source.